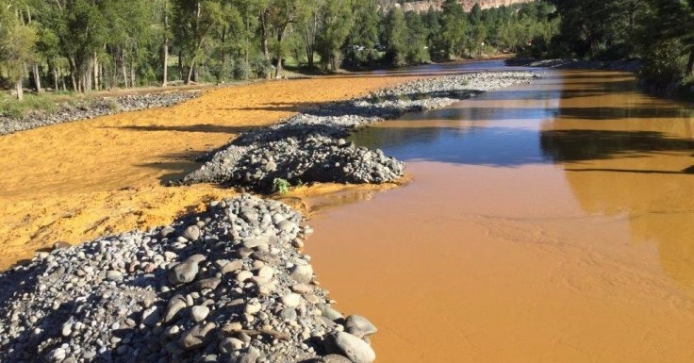 In Part 4 of this series on EPA, the Department of Interior, and the Gold King Mine Disaster we explore an unusual coincidence. The blowout was actually predicted by a retired geologist a week before it happened. Here’s the scenario that will occur based on my experience: Following the plugging, the exfiltrating water will be retained behind the bulkheads, accumulating at a rate of approximately 500 gallons per minute…..Initially it will appear that the miracle fix is working….. But make no mistake, with in seven to 120 days all of the 500 gpm flow will return to Cement Creek. Contamination may actually increase due to disturbance and flushing action within the workings. The “grand experiment” in my opinion will fail. And guess what Mr. Hestmark will say then? Gee, ‘Plan A’ didn’t work so I guess we will have to build a treatment plant at a cost to taxpayers of $100 million to $500 million (who knows). Reading between the lines, I believe that has been the EPA’s plan all along. The proposed Red & Bonita plugging plan has been their way of getting a foot in the door to justify their hidden agenda for construction of a treatment plant. After all, with a budget of $8.2 billion and 17,000 employees, the EPA needs new, big projects to feed the best and justify their existence. Whether EPA had a “plan” for the blowout is a matter for debate. But if a geologist from New Mexico, applying his education, training and experience in the field, predicted the calamity one has to wonder why the EPA and all its experts could not foresee and do more to mitigate the risk of this terrible event. In Part 5 of this series, we will examine the decades-long battle between the EPA and Silverton, Colorado over Superfund designation of the area surrounding the Gold King Mine.